Last week I took part in a 56-mile cycle in the Borders. It was absolutely stunning and highly recommended if you fancy a challenge. I'm not much of cyclist having only been out a handful of times for rides longer than 10 miles, there were some fairly challenging climbs and one hill in particular that we had to walk up, but I'm so glad I did it. 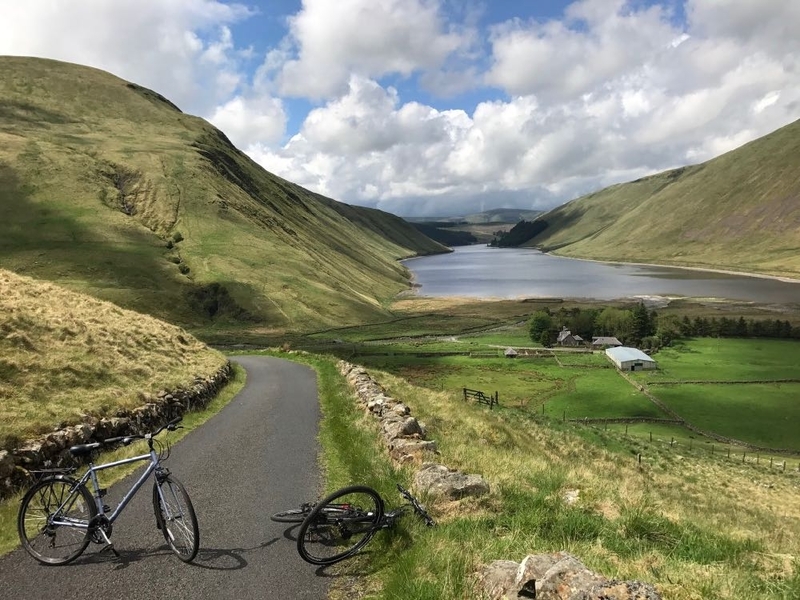 I think I've caught the cycling bug now (thanks to Scotland's beautiful landscapes), do you have any recommendations for other routes to try? Possibly a little flatter than this one! Well done @EdinBlogger for completing the challenge without any training. Amazing! For other cycling challenges please have a look at Sustrans, the National Cycle Network in Scotland with over 2,300 miles for you to enjoy! Please also have a look at VisitScotland's page on cycling for more inspiration. Keep pedalling!! !